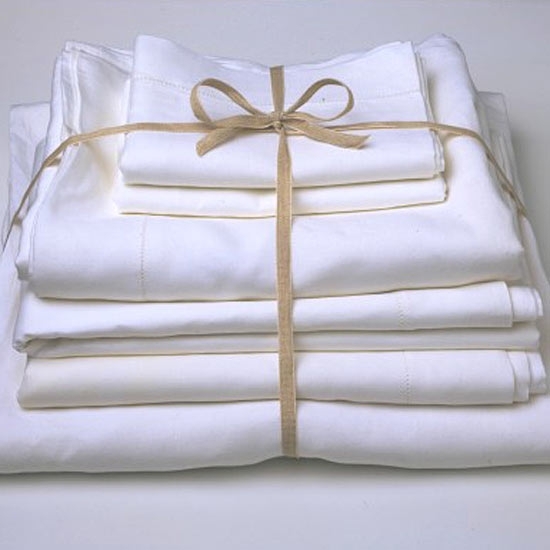 Cotton satin – a medium weight off white close weave mix of cotton and satin imported from the UK. THis is ideal for most needle painting projects and can be sourced from my Etsy shop. Southern Belle 200 count muslin from the USA . This is a lightweight but sturdy fabric with a very close weave which allows for the precise stitching in miniature needle painting and is used in my kits. Irish Church linen medium weight with a close weave. This is the jewel of fabric for needle painting as it is resiliant enough to withstand constant use and firm enough to support the embroidery. Unfortunately it is not easy to source a linen that has a high count, close weave and it is very costly. HOWEVER, the good news is that I have found a source of gorgeous Irish cambric linen 1400ct which is perfect for our use and hope to have it in the shop within the next few weeks. My first question is this – would you like to see all 3 fabrics available for sale in the Etsy shop in the future? My second question is this – as I have to pay hefty cutting fees to have the linen cut into pieces what would you prefer? 1. Available by the metre at approx $50 per metre. This would allow you to cut the exact size you need. 2. Available as a half metre (approx 50 x 150cm/20 x 60 inches) at approx $27 per piece. THis would allow you to cut several project pieces in the size that you need. 3. Available as a half of a half metre (approx 50 x 75cm/20 x 30inches) at approx $15 per piece. This would allow approx 4 medium pieces of 2 large. Unfortunately I can’t offer all 3 options as it would be too costly to stock in different sizes but I would love to hear from you as to your preferences as this will give me a better idea of your needs. Hi Trish, I would love to see all three fabrics available, but if I only have one choice, it would be for the linen in either 1mtr or 1/2mtr lengths. It looks a lovely quality, and would be great to work on. I would like the Half-meter linen ; actually I use linen from Weddingen (easy to find in France on the net) which is 30 counts by centimeters (each side) ; it is good quality and it costs about 60 euros per meter ; it is very resistant and not heavy and I love it. Hope this will be usefull. Have a good day; Jacqueline . 1/2m, and in favour of the Southern Belle in particular – a friend showed me some the other day and it looks great. I will go for the linen in the metre size-saves on the postage. I would like to see 1/2 meter also . Hi Trish, If I absolutely had to make a choice I would prefer the linen by the metre although I would like to buy the cotton. Which would you suggest for a tablecloth for my daughters wedding present? She has a table 3m long by 1.2m wide and wants it embroidered with sea creatures like lobsters, conches, crabs etc. No pressure then! Hi Trish, YES I would like to see the linen in the Etsy shop. And I would prefer either the Meter or the Half meter sIze. I like to cut my own pieces to obtain the correct size needed for my project. Thank you for or the help!!! I would like to have all three fabrics available, and I would prefer the linen by the metre please. I have no problems with buying through your Etsy store. I think that the 1/2metre would be the most practical option. Not too costly and it gives you good scope for size options of your project. I would prefer the full meter option of the linen first as this would allow me the opportunity for more projects, but I would agree that the half metre option is a reasonable alternative. Especially as it would permit beginners and those who only wanted a smaller amount and less monetary outlay. I would personally prefer the 1 meter. That would give me many more options of sizes that I would need and would also cut down on shipping costs in that I wouldn’t have to keep ordering smaller pieces. I would like the half-meter size. I its nice gives you plenty for whatever you might its. Hi Trish, I do love your web site so much. I think the meter lengths of fabric would be the most practical – even for a beginner. The Irish 1400 count linen sounds wonderful and the price is reasonable. Was looking around today for linen and Kingston linen was A$160, the church linen equivalent A$126. I have managed to source a hemp linen which is very acceptable. Trish, I like the idea of selling them in half widths! I think the half meter would be the most practical. Enough for several projects at a reasonable cost. I prefer the meter–that gives me many more options. Option 3 — like a quilter’s fat quarter only a “fat half”? — would be most useful for me. I’m not familiar with the American muslin but if you like it and find it appropriate for tread painting, than i’m sure it would suit me. Is it white-white, or slightly écru? The other two fabrics are lovely! Trish, i would be happy with the half metre option. I am only a beginner and need a lot more practice but working on quality cloth encourages and supports trying to do your very best work. Postage is a problem for me so it would be cheaper for me to buy the half metre rather than the smaller pieces as this would involve more postage. Would be interested in half metre pieces. Like the sound of the last two fabrics. I would like the linen in the meter size. I feel that size would give me more option when starting a project and save me on shipping too. Oh! Definitely the linen, maybe the muslin, probably not the cotton – and by the metre please!! The half metre option would be my choice. I have done quite a few needlepainting projects and use silk dupion with an iron-on backing to give it more stability. Works well and looks gorgeous. I think the half meter option is a good choice. It is a good size for versatility and a reasonable midrange price. What is your opinion on silk dupioni? I am sure it is pricey, but the colors can add that extra pop for a really special piece. I am enjoying the mini class, although my eyes are not as happy, so it is a little slow going. Do you have any advice for stitching one of your larger birds with silks. I know DMC is rather easy to obtain all over the world, but I love Au ver a Soie….